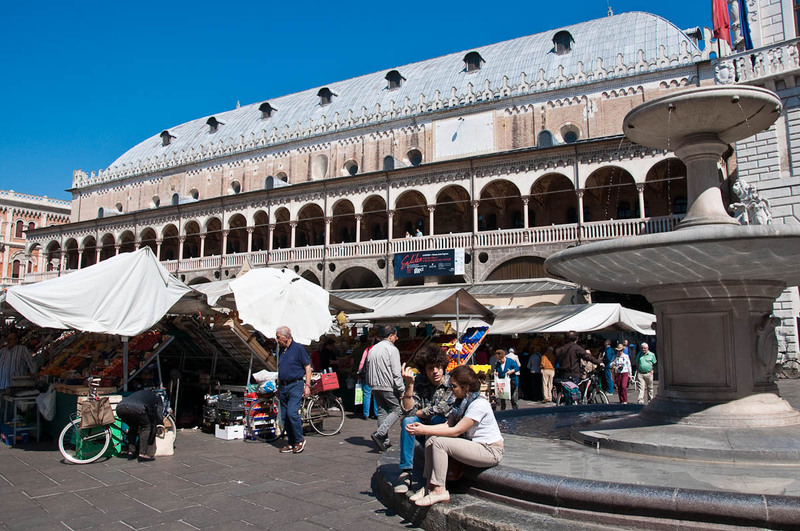 Every day for the past 800 years a bright and lively market has been held in the heart of Padua. I am standing right in the middle of it, buying a bunch of bananas, when it hits me. 800 years?! At the same place?! And it is still going strong. It is almost impossible to grasp what this means! Usually when we speak in terms of something which has survived the unrelenting passage of time, we refer to an object – a painting, a sculpture, even a golden goblet used by a dynasty of kings on their coronation day. Or we think of a tradition – something which happens once a year and we duly prepare ourselves for it in our own modern way either by buying lots of presents half of which would displease their ungrateful recipient, or by stuffing our bellies with chocolate eggs starting two months before the actual event. 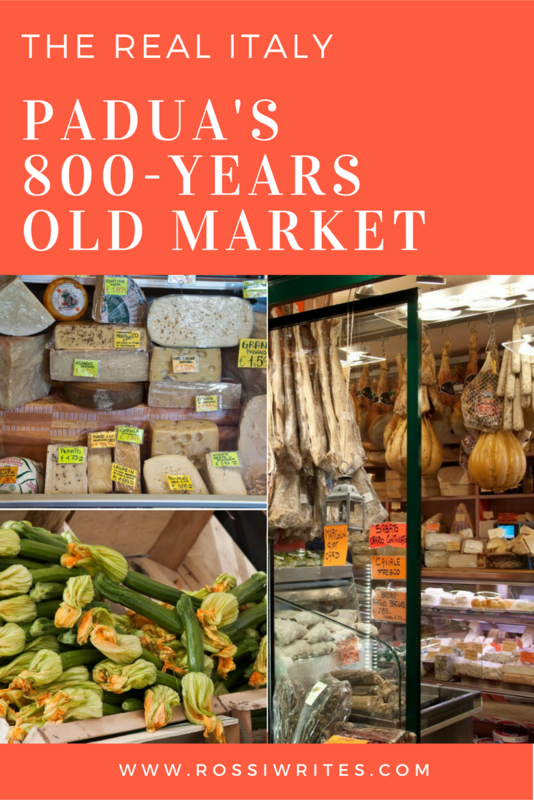 But a living, breathing, six-days-a-week, ever changing with the seasons and yet always held at Piazza delle Erbe and Piazza delle Frutta in Padua market which has not stopped for 8 centuries?! Now, this is something else! 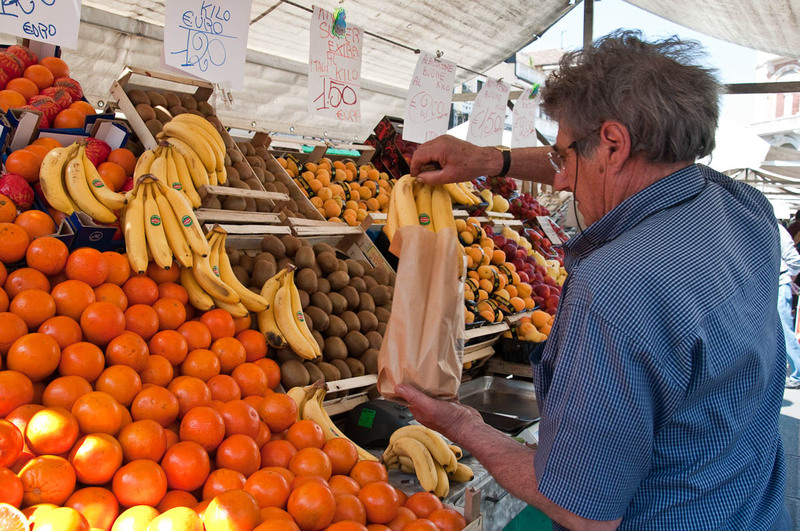 A throng of locals with their shopping bags and trolleys bustled and hustled around me. A Vespa passed by, pushed by its owner, who had placed a crate of apples on the footrest of the little machine and bags bursting with fruit and vegetables in the basket at the Vespa’s back. 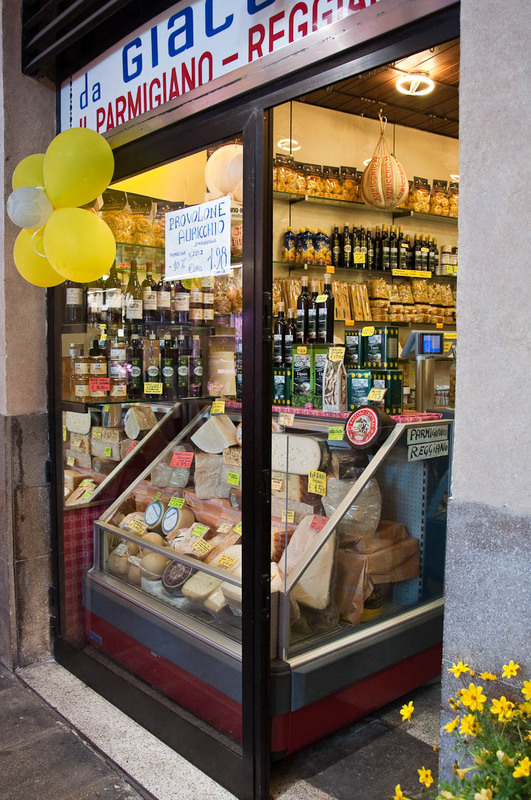 The occasional group of tourists seemed only interested in the splendid Palazzo della Ragione in the shade of which the market is held. Attentively listening to its guide, the group would stop on the outside perimeter of the market, right by the little fountain resembling a two-tiered cake stand. 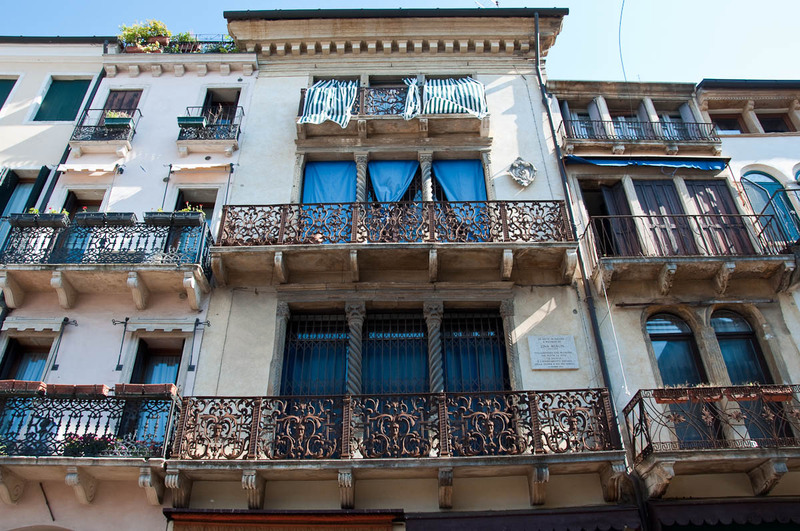 It would spend a couple of minutes there, admiring the palazzo and then move on to explore it on the inside. The market seemed to be entirely the domain of the locals. 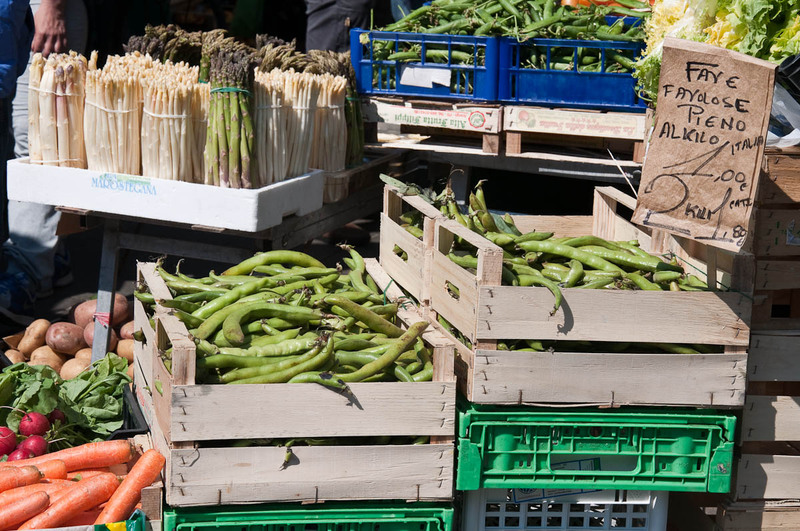 The colourful stalls were groaning under crates of fresh produce, artfully arranged. 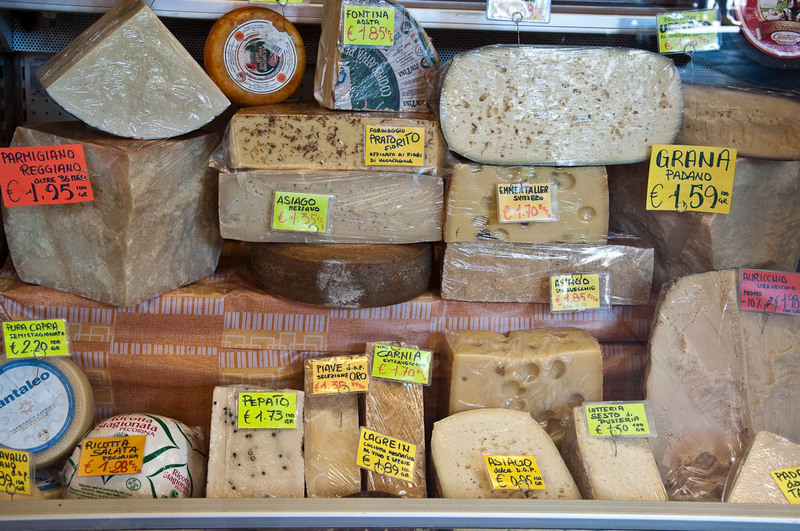 Everything looked fresh, bursting with the juices of the Italian earth. A sweet smell of strawberries filled the air with longing. 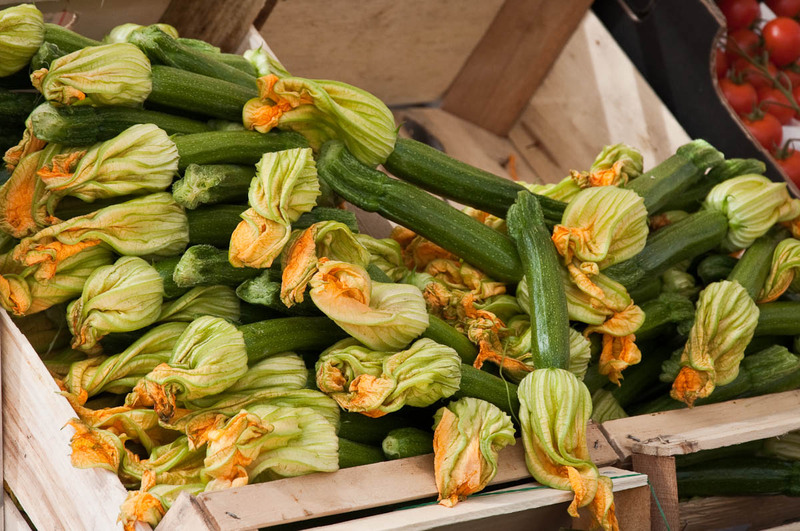 Tiny courgettes with large orange flowers (apparently, delicious stuffed with ricotta and fried) were piled high up in wooden crates. Handfuls of fresh herbs, perfectly arranged peaches, green beans, bunches of green and white asparagus, radishes and artichoke hearts completed the scene. And then I spotted it. 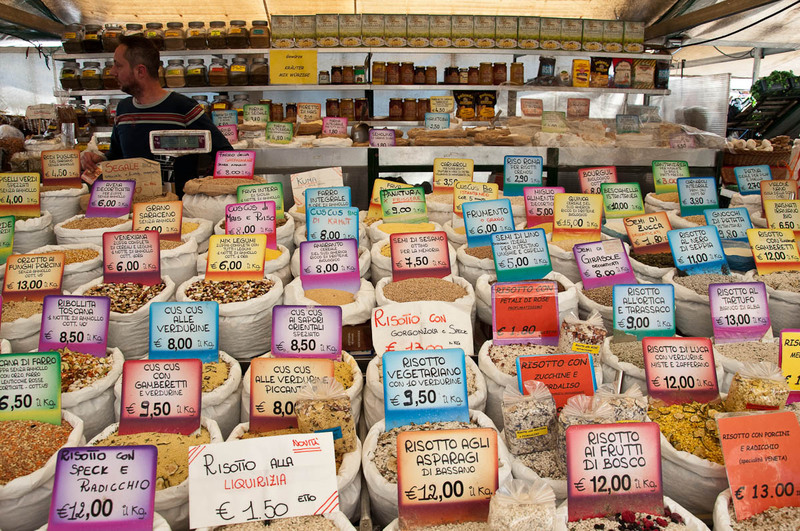 A happy, colourful stall with bags filled up with mixes for soups, risottos and cous-cous. Beans, rices and legumes of all sorts had been mixed and matched in any possible combination. There was risotto alla Napoletana, risotto with speck and the Italian chicory – radicchio -, and even minestrone with twelve vegetables. So much choice! 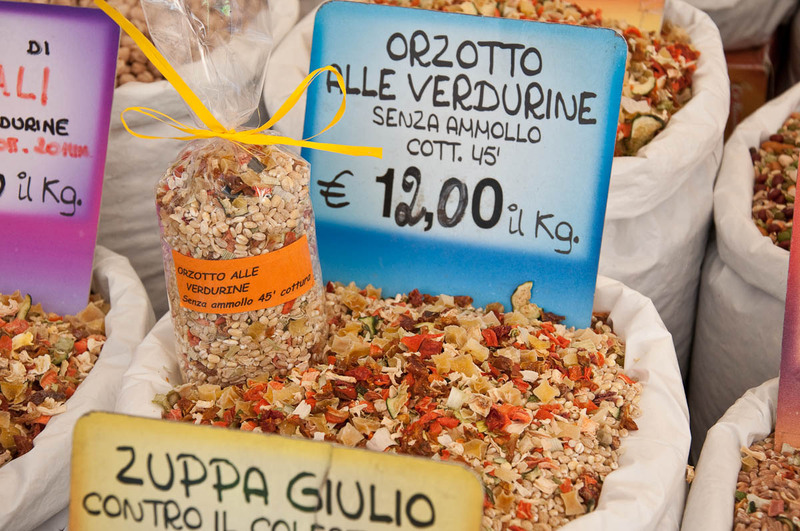 After some thought, I eventually got half a kilo of Venexiana soup mix with cereals and legumes, promising myself that I will be back to Padua before long to stock on some other mix or two. 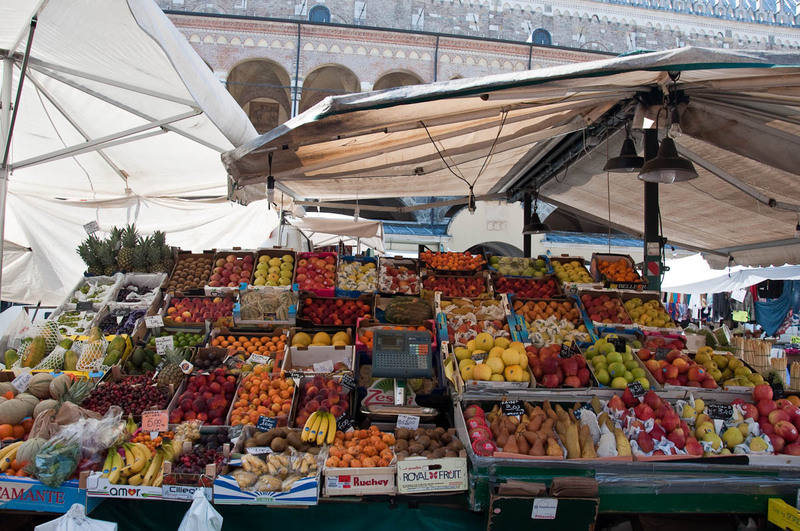 From the fruit and veg stalls taking all of the Piazza delle Erbe, I went round Palazzo della Ragione to explore the stalls lined up on Piazza delle Frutta. 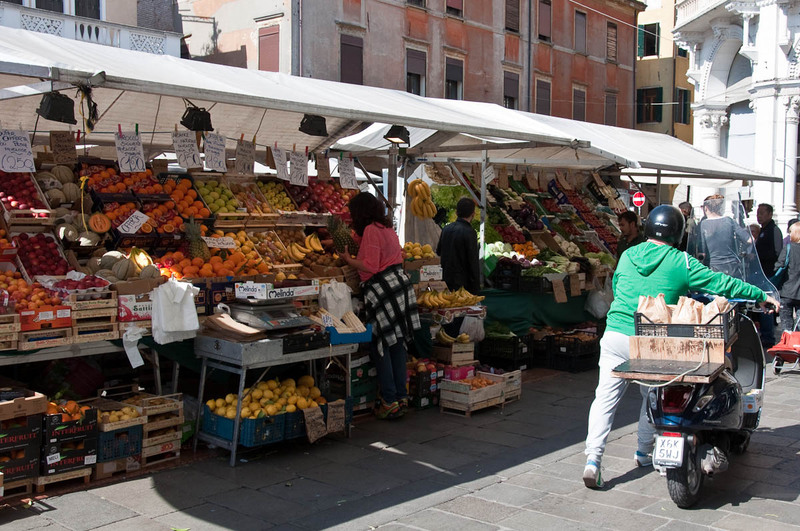 Unlike the name of the piazza (in English it literally means ‘Fruit Square’), most of the vendors there specialised in cheap clothing, textiles, bags and trinkets. With the passage of the centuries the market had stretched beyond its original territory. 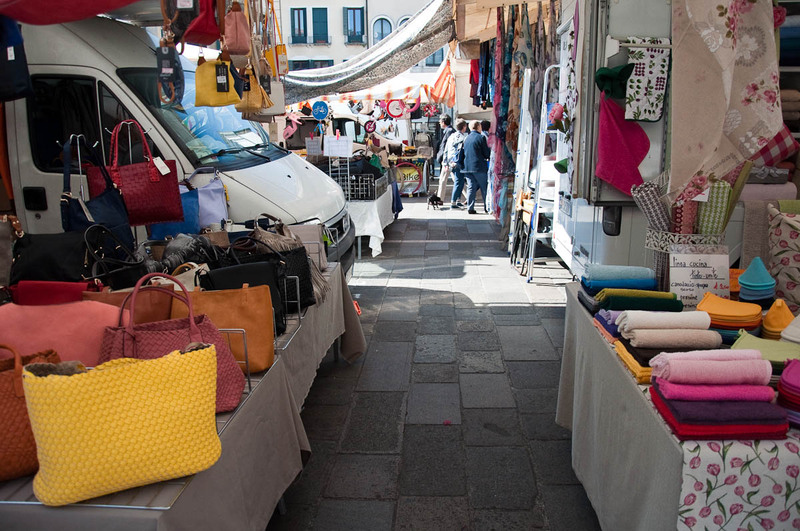 The stalls continued further down occupying the adjacent Piazza dei Signori where nowadays you will find clothing, bags, flowers and even antiques. The skirts, tops and table cloths hung under the wide awnings of the stalls there were in stark contrast with the amazing clock tower which is the crowing glory of this beautiful square. 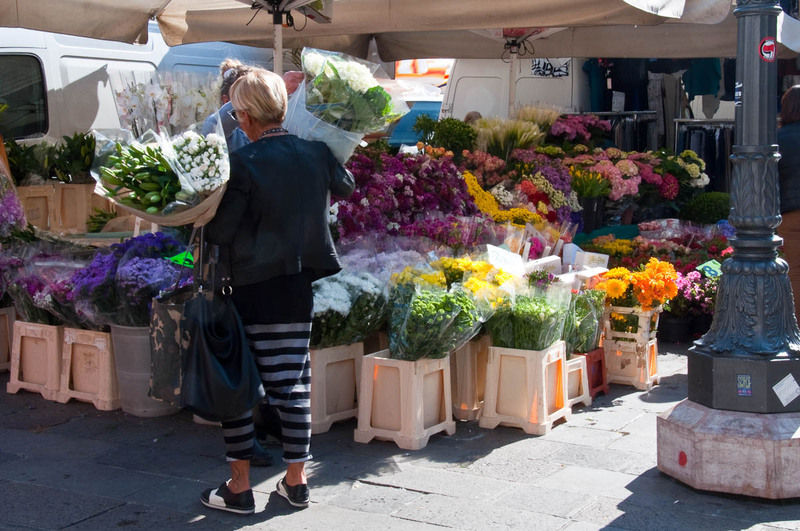 Tall buildings with balconies of wrought iron and dotted with blooming potted plants surrounded Piazza dei Signori and I spotted several old ladies peering through their balcony doors down at the market. This gave the scene an inimitable Italian feel. For a second it felt like I was in a glorious technicolor film scene where all participants did their best to recreate the perfect image of Italy which many books and old movies have built up in our collective imagination. 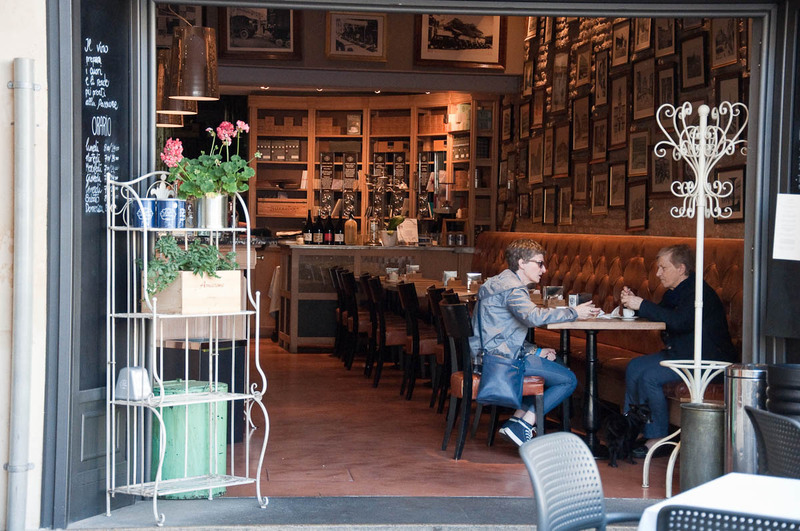 Cafes and bars with their doors thrown open and a gaggle of tables and chairs positioned directly on the pavement confirmed that this was a life lived outside, where everyone is both observed and an observer. The biggest surprise for me though was just about to come. I ventured back to Piazza delle Erbe and after a delightful visit to the top floor of Palazzo della Ragione (of which I will tell you in another blog post, it was so stunning), I ventured into the open arcaded galleries on its ground floor. 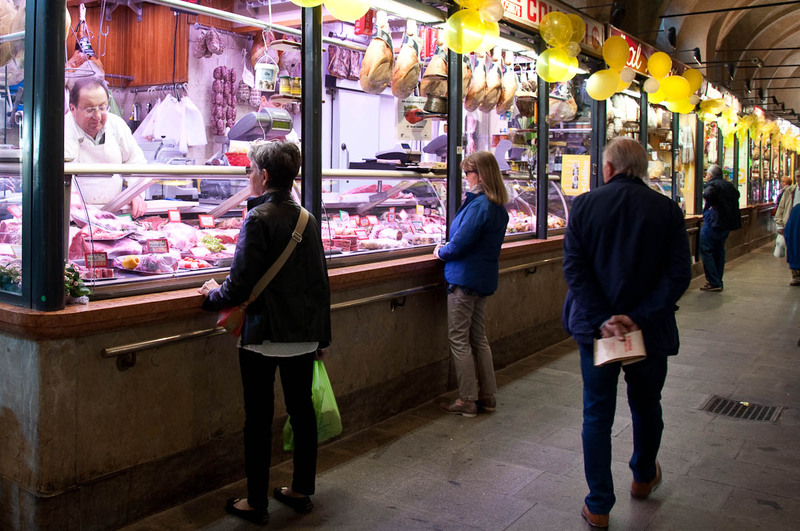 Inside, in the cool dusk of the arcades and parallel to the market bathed in strong sunlight outside, hustled and bustled a whole little collection of small authentic shops and delis. Salami specialists and dried porcini mushrooms sellers. 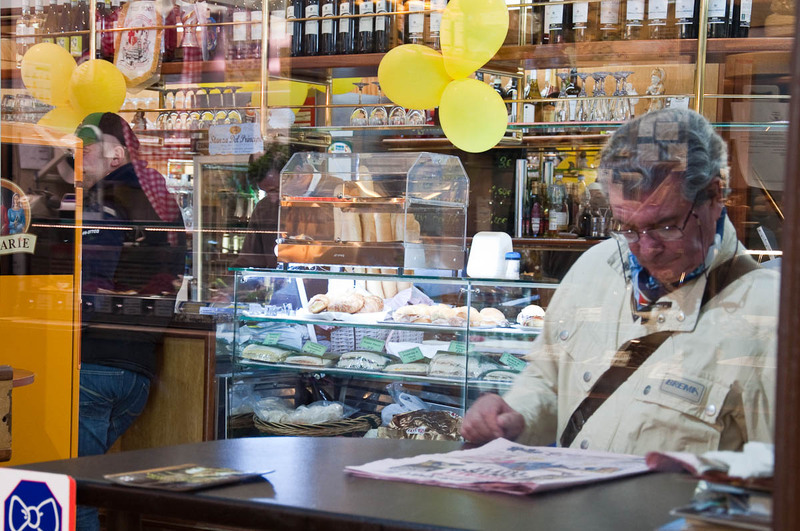 Even a small traditional Italian bar where a man was reading the newspaper whilst another was propping the counter. The contrast with the beautifully frescoed top floor of the Palazzo della Ragione couldn’t have been starker. 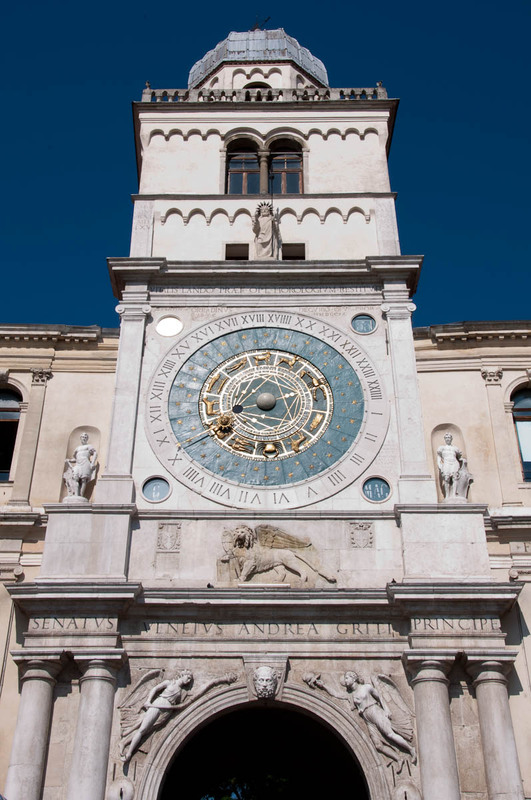 This medieval town hall building had been the place where meetings and tribunals deciding the fate of Padua and its citizens had been held for centuries. All the while, its ground floor with high arched ceilings had served as the food shopping bubbling centre of the city. I had never before seen a building where both the social and the physical needs of the denizens were satisfied in a such a spectacular way. 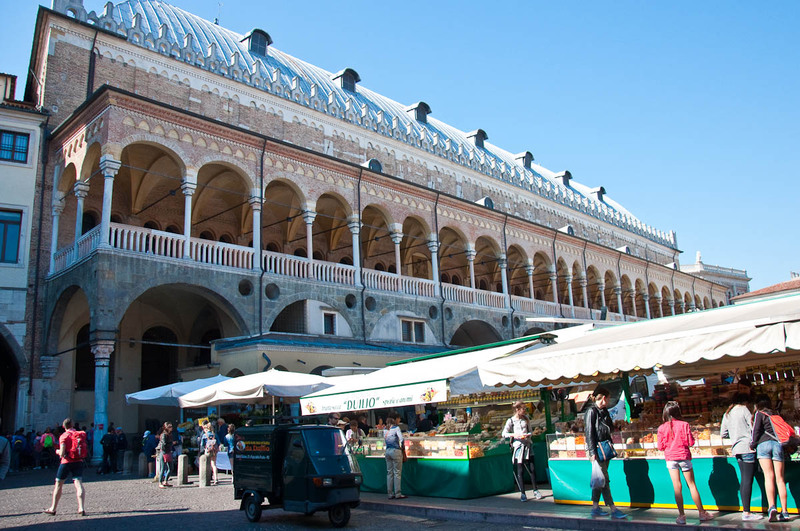 If you planning a visit to Italy, don’t miss Padua with its 800-years old market. 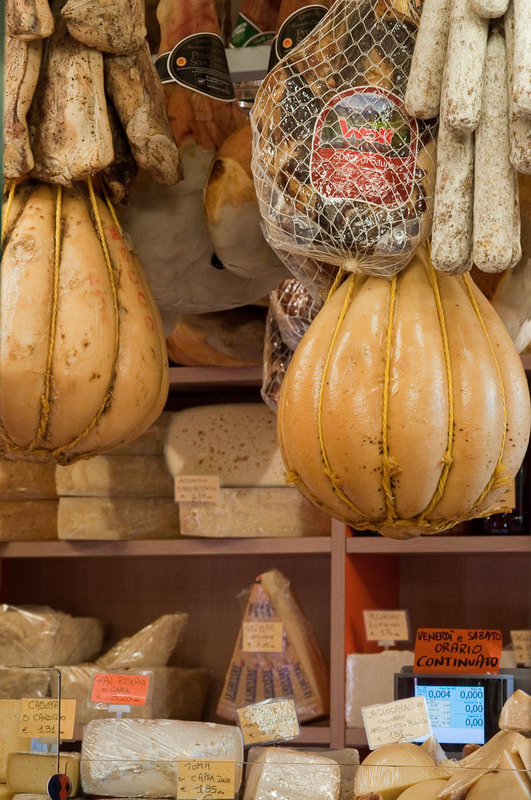 It is renowned as one of the most authentic and vibrant markets in the country and you can experience la dolce vita there just as it has always been – unhurried, colourful, lived out in the open under the blue Italian sky. 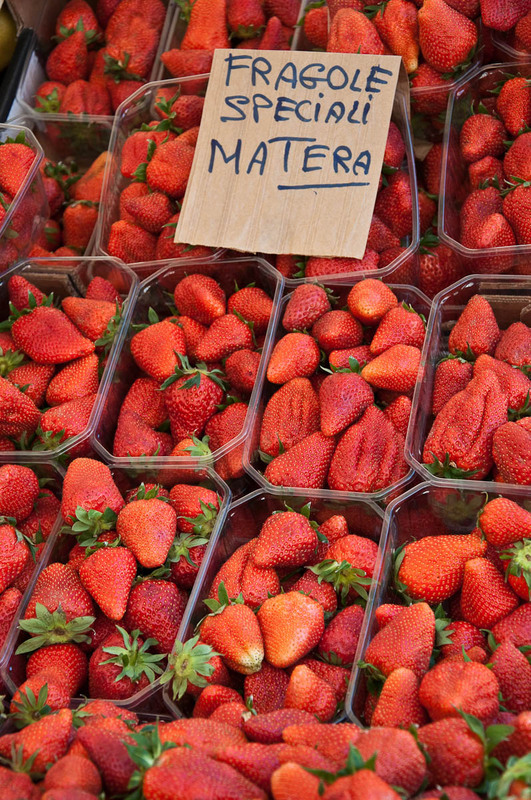 And, if in season, smelling of sweet strawberries, too. 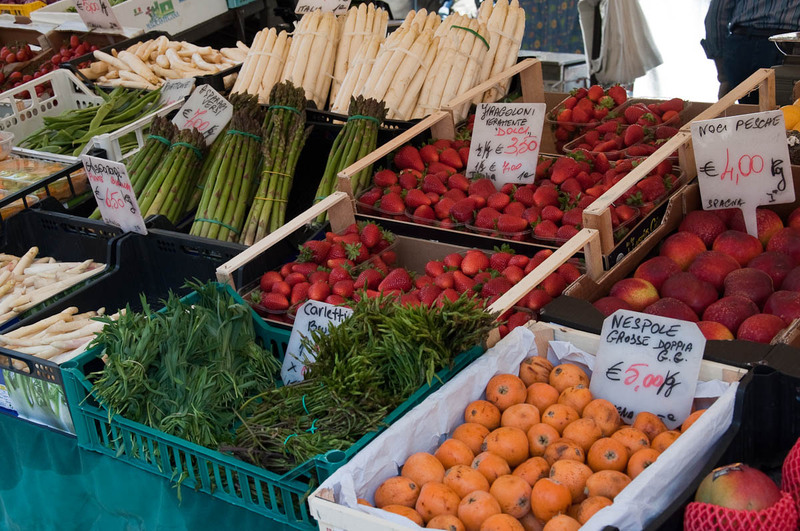 Please, note that the markets on Piazza delle Erbe, Piazza delle Frutta and Piazza dei Signori take place in the morning of every working day and all day on Saturday. 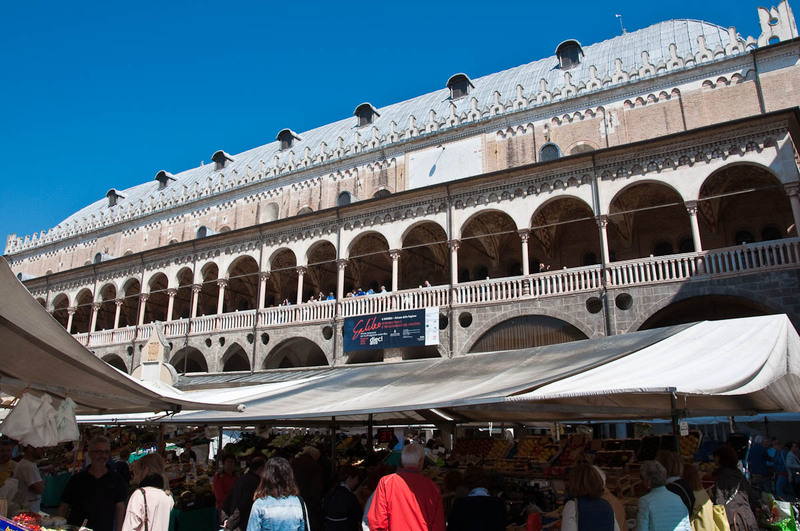 The stalls are dismantled at the end of each trading day, so if you want to admire a picture-perfect view of Palazzo della Ragione, come after the market has finished. 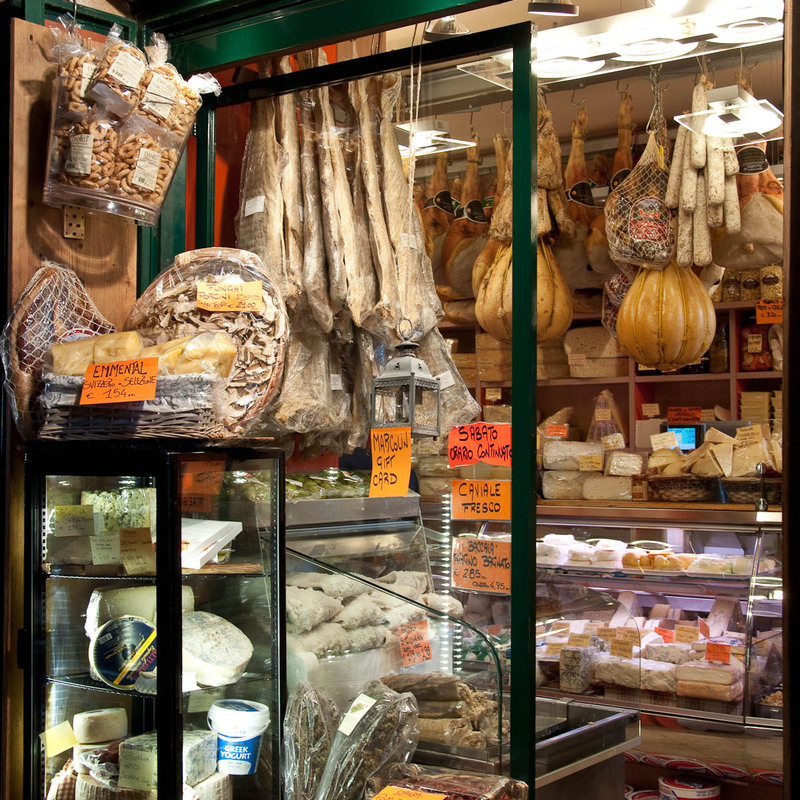 There is a host of bars, cafes and restaurants surrounding all three squares. 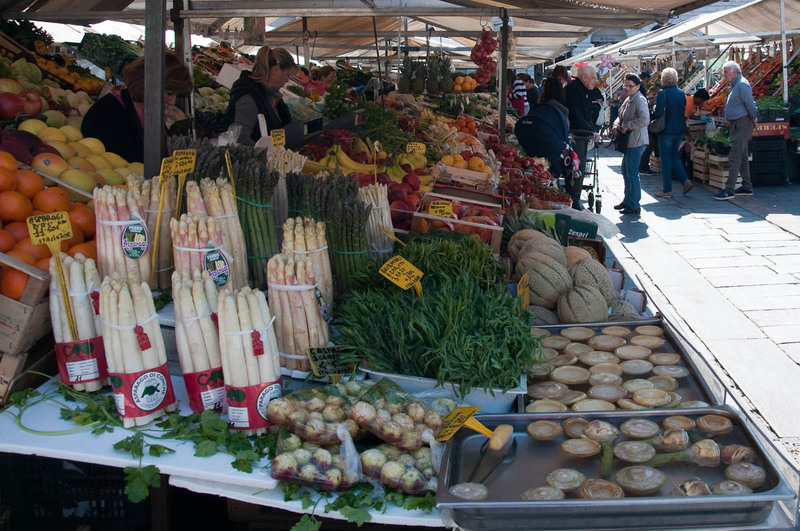 Where is the most colourful and authentic market you have ever visited? What do you remember it with? And did you buy something to remind you of your experience? Hi, will any of the markets be open during the first week of January 2018? Or are they closed for the holidays? Thank you so much for your kind words! I am always a bit unsure about my photos, as I am self-taught in terms of composition and photo-processing. 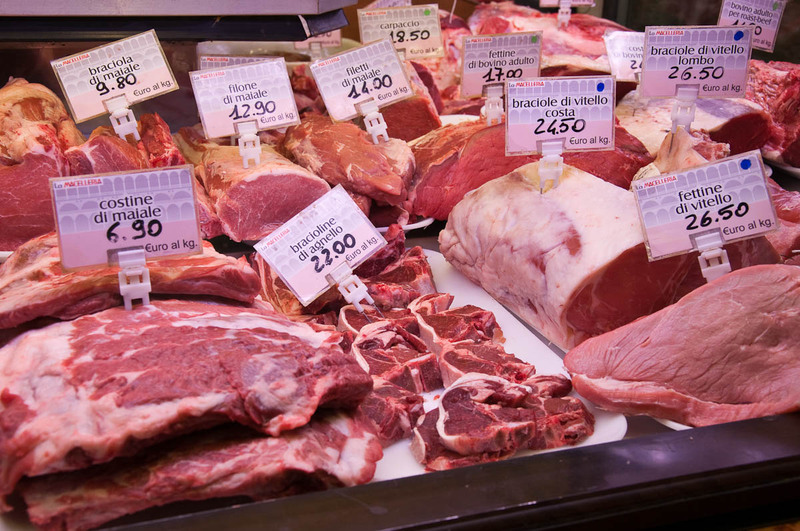 The market was really great and I just wanted to do it justice.